We can free up your time and resources by taking care of all your everyday office administration, giving you more time to concentrate on the important things… like building and developing your business, and spending more time with your family and friends too of course! …waste lots of time on tedious everyday admin tasks? …spend more time dealing with existing customers than seeking out new ones? …have far more work than you can fit into a normal working day? …need flexible extra help, but can’t afford the time and hassle of employing your own staff? …worry that your business presentations, quotations, invoices and other paperwork don’t portray a professional approach? …feel so tied to your business that taking time off is out of the question? …work alone and sometimes long for someone to share ideas with and discuss where your business is going? Sounds familiar? If you can answer ‘yes’ to any of these questions, then Virtually Roz could literally be the answer to all your prayers. click here to download our client self-test form today to see how badly you need our help! Still unsure? Find out more about all the benefits of using Virtually Roz. 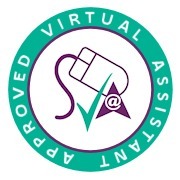 PA/Secretarial Services * Administrative Support * Word Processing * Presentations * Meeting Support * Credit Control * Mailshots * Proof-Reading * Research * Event Management * Travel and Accommodation * Call Handling * Personal Lifestyle Management * PLUS anything else you might need!